Loafing Odysseys: Sasha Pivovarova's Artwork. 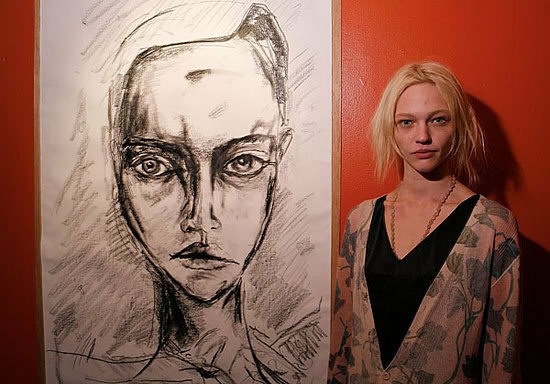 I have always loved the model, Sasha Pivovarova, but I did not know until recently that she is also a talented artist. Some of her work (particularly the third image I posted) reminds me of Gustav Klimt. 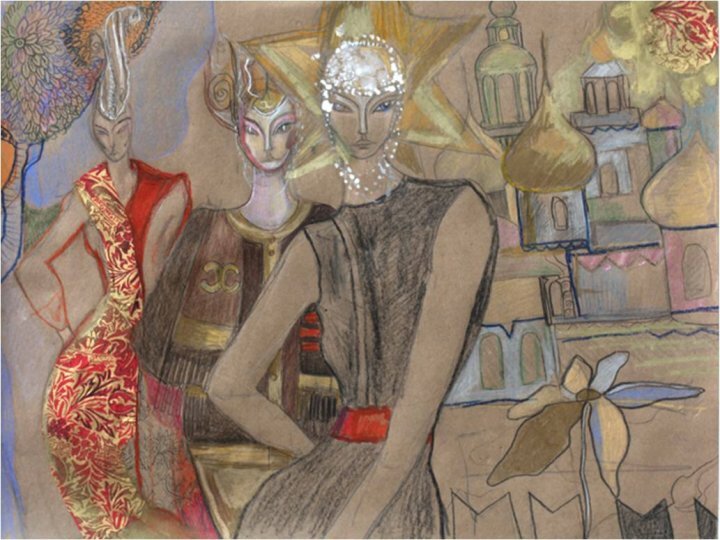 Of the inspiration for her artwork Pivovarova says, "My drawings were inspired by the joy of seeing fairytale characters coming to life in one of the main theatres of Moscow, the city where I was born.” Wikipedia claims that she is working with Miuccia Prada to produce a book of her drawings -- I hope this is true! 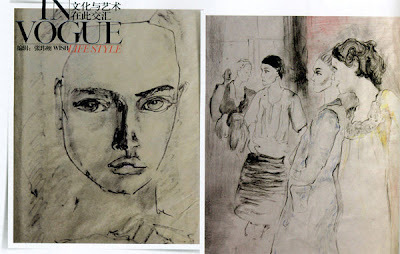 i didnt know that either.. love the two last pieces of her - and i like that first picture! wow I had no idea she is also an artist. I didn't know she was an artist either. 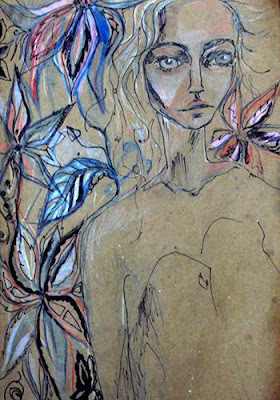 I hope she makes a book of her work! 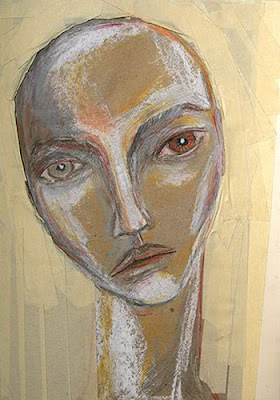 I'm not really "into" models and don't usually care about that but she is really a muse and a chameleon. Love her. I agree that I'd situate her work in the Expressionist movement - there's definitely some Klimt there, and the sharp lines and often monochrome backgrounds remind me a bit of Egon Schiele.